If you want to get things done in Niger, it helps to know Mohamed Salissou Kané. The Carter Center’s country representative in Niger seems to have connections everywhere. He’s earned his insider status. Few individuals have done as much as Kané to improve public health in Niger, one of the world’s poorest countries. After completing his education in the United States, Kané served as the Niger Ministry of Health’s national director of hygiene and sanitation. He then became an advisor on community water supply and sanitation for the World Health Organization (WHO). 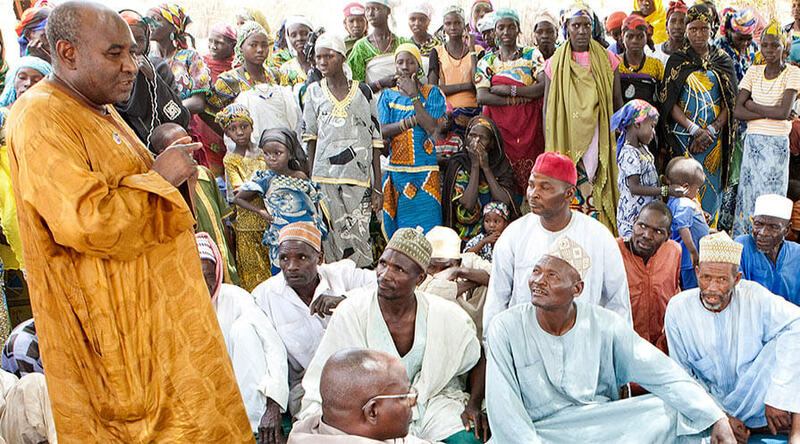 In 1996, Kané joined The Carter Center; he led the campaign that eliminated Guinea worm disease throughout Niger. “Salissou has been a huge advocate for his country men and women, and he worked tirelessly to rid Niger of Guinea worm,” said Kelly Callahan, director of the Center’s Trachoma Control Program and a former member of the Guinea worm team. Kané is humble in the face of such praise. “I’m proud to have contributed to alleviating the community’s suffering from that dreadful disease,” he said. Kané and his tight-knit staff are now close to eliminating another disease that causes and perpetuates poverty, the eye disease trachoma. Again, Kané’s expertise in water and sanitation suits him perfectly for the job. Eighty percent of Niger is desert. In some places, a thick stratum of granite makes drilling for water virtually impossible. A lack of sufficient water for drinking, cooking, cleaning, and bathing creates an environment where pathogens can thrive. With a kindly manner, quick wit, and ability to speak four languages, Kané is equally at home conversing with governors and sultans as he is with goat herders and subsistence farmers. 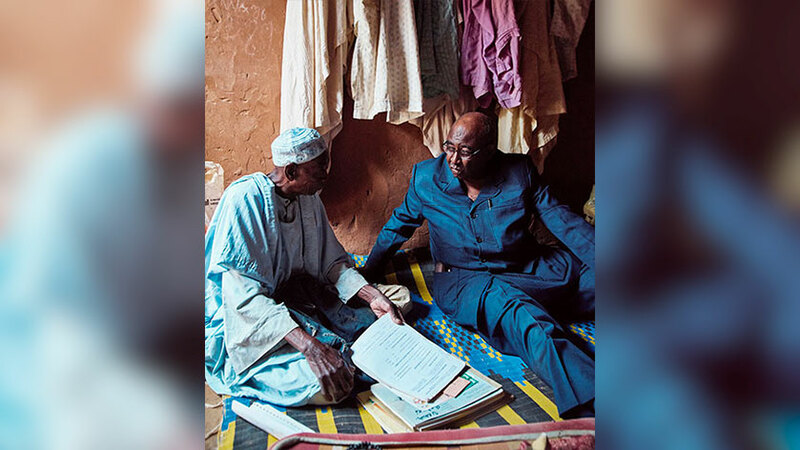 He and Ousseini Mahamane, 80, the chief of Goulouské village in Zinder region, recently sat on the floor of Ousseini’s mud-brick home to catch up and peruse archives from Ousseini’s time as a Center-trained village volunteer. 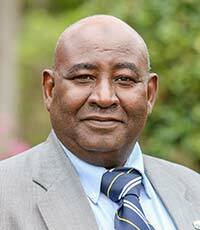 Kané has a talent for developing outstanding public health specialists. A revolving-door policy allows health experts to move fluidly between the Ministry of Health and nongovernmental organizations such as The Carter Center and back again; the ongoing talent exchange makes both partners better and stronger.